Odyssey was born in Germany, spent his childhood in Syberia and received musical education in Moscow. 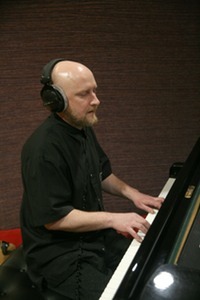 He graduated from the Chair of Jazz Piano at the Scryabin Music College and has studied at the Composition Chair at the Moscow P. I. Chaikovsky Conservatory. science since 1988. He was a winner of the pianists’ competition at the 29th Montreux Jazz Festival (Switzerland). were released through Melodia, the oldest Russian label. He has his own entry as a musician in “Jazz, 20th century; The Great Russian Encyclopedia of Jazz”. with the experience of musicians in, for example, Buenos Aires, Cape Town and London; Ankara, Tokyo and Moscow. (Managing Editor, Metro Times, Radio host, TV co-host, Detroit Sunday Journal).